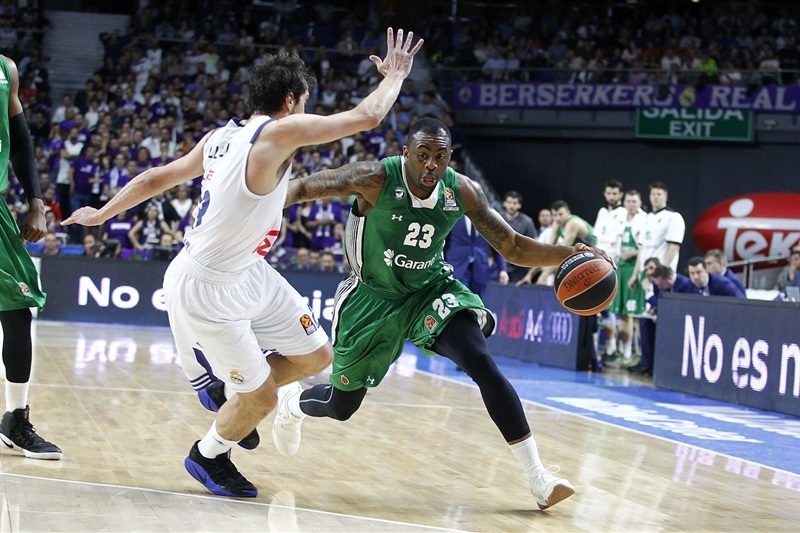 In its first playoff series, Darussafaka Dogus Istanbul made a statement by edging top-ranked Real Madrid 80-84 in Game 2 of their best-of-five playoff series on Friday night. The series now moves for two games to Istanbul with the score tied at 1-1. 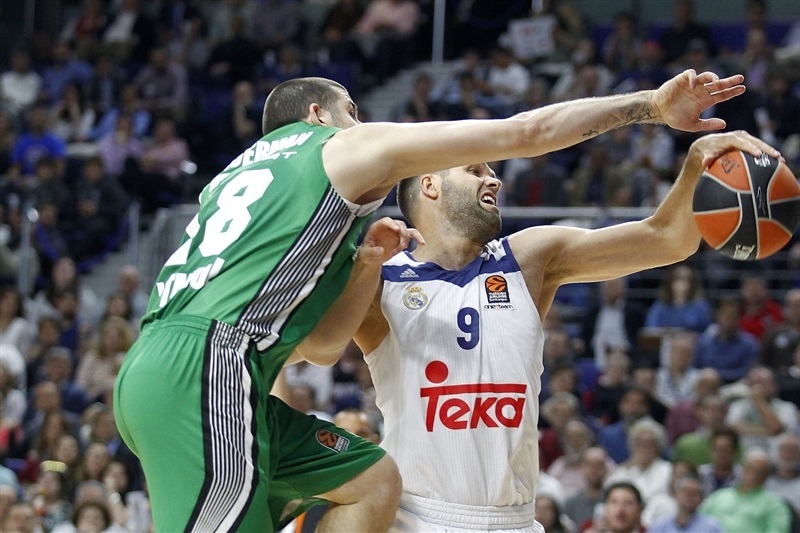 Darussafaka led for the majority of the night, not allowing the hosts a single lead in the first half. 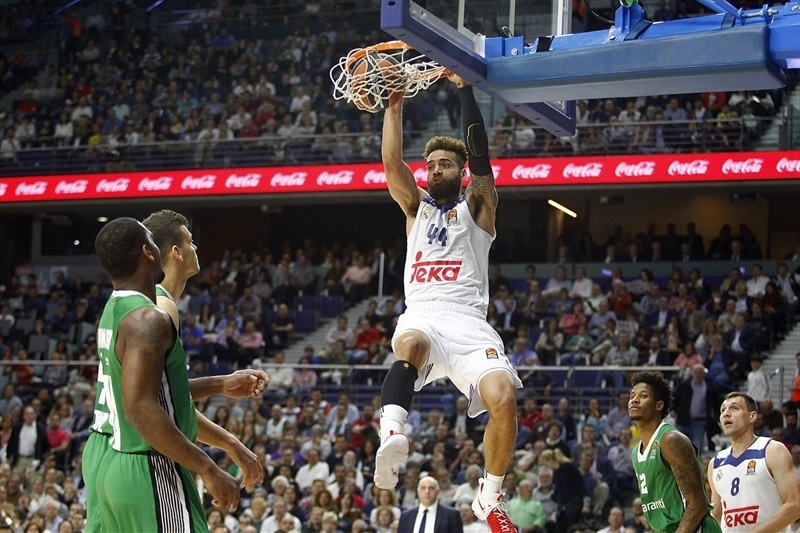 Sergio Llull knocked down 5 three-pointers in six minutes of the third quarter to put Madrid up by 7, but Brad Wanamaker rallied the visitors and with help from big man Ante Zizic and point guard Scottie Willbekin guided Darussafaka to a memorable win. Wanamaker finished with 21 points and Wilbekin netted 17, with each dishing 4 assists. 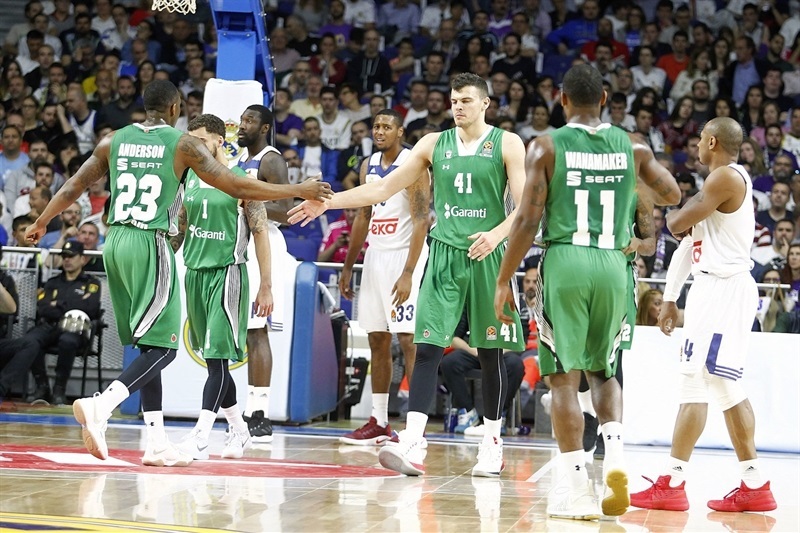 Zizic collected 17 points and 8 rebounds and Will Clyburn scored 13 in victory. 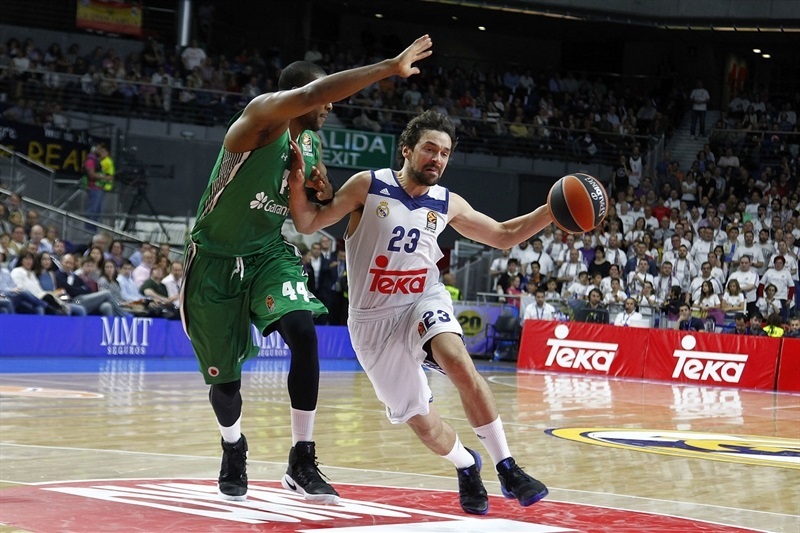 Llull finished with 22 points and Gustavo Ayon posted 16 points, 8 rebounds and 5 assists in defeat. It was an up-tempo game early on, with Darussafaka getting threes from Clyburn and Luke Harangody and baskets inside from Zizic. 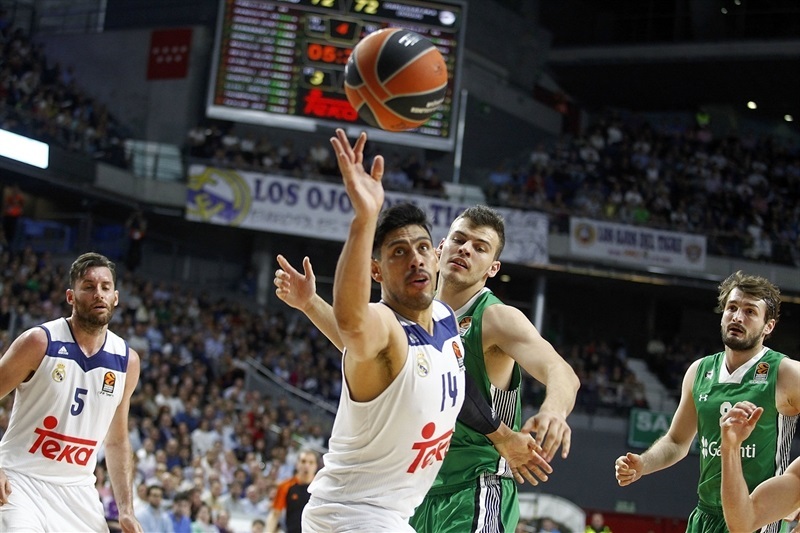 Madrid's offense went through Ayon, who assisted on each of the first three baskets for the hosts. It was 19-22 after 10 minutes, and a pair of dunks from Zizc, a triple from Wilbekin and a three-point play from Wanamaker opened a 25-34 advantage. 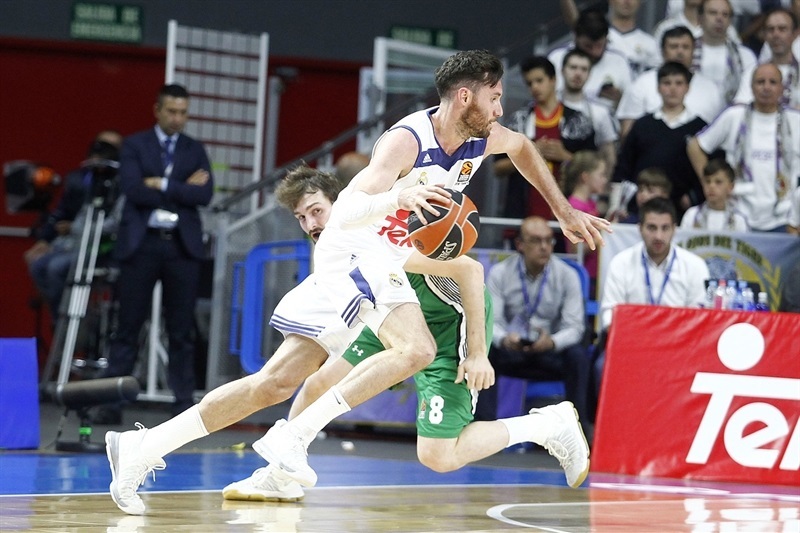 Jaycee Carroll and Randolph hit from long range for Madrid and Llull made a tough basket, but Wilbekin banked in a long triple at the buzzer to make it 38-44 at halftime. 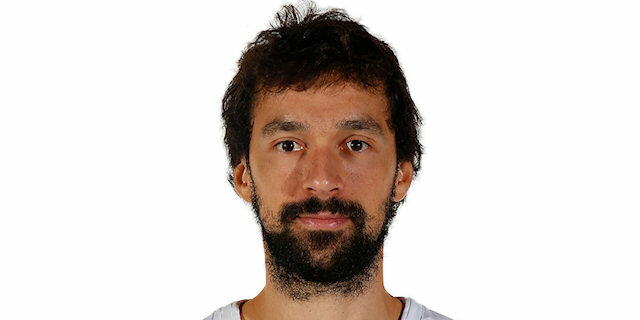 At the start of the third quarter, it was a Sergio Llull show. 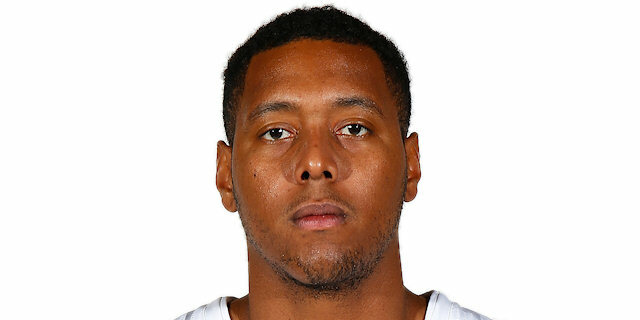 The Madrid point guard hit 4 consecutive three-pointers in less than three minutes to give Madrid its first lead and a corner-three from Trey Thompkins made it 58-51. But the visitors stopped the bleeding behind Wanamaker, who drove for a layup and then traded triples with Llull before sinking another from downtown. 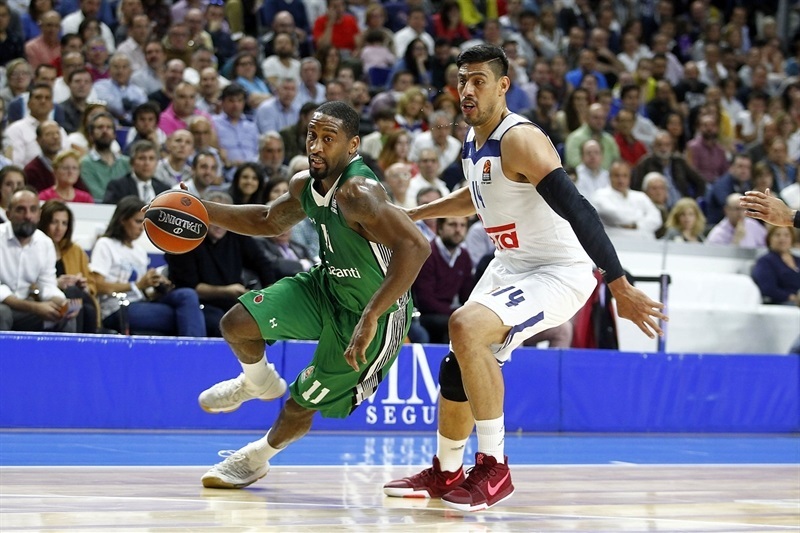 Madrid's lead was down to 68-66 after 30 minutes, and baskets from Wanamaker and Wilbekin put Darussafaka back in front at the start of the fourth. 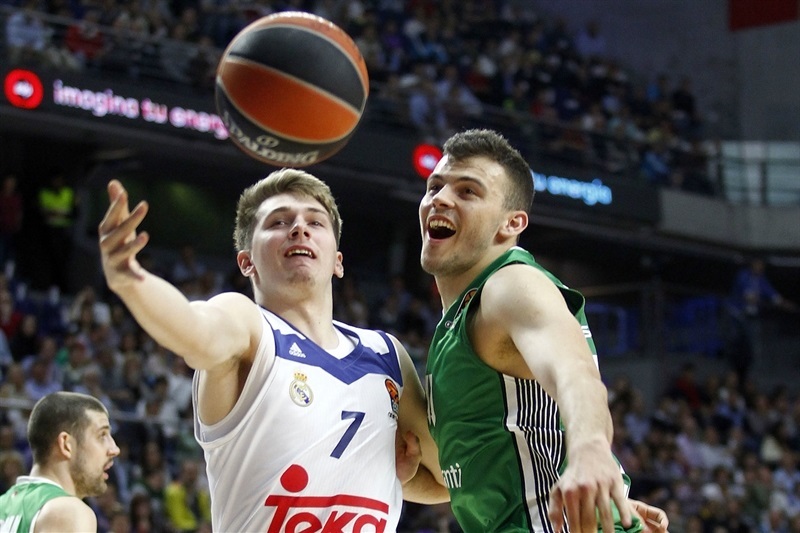 Ayon inside and Llull on a fast break pulled Madrid even, but as baskets came few and far between, the hosts never took another lead. 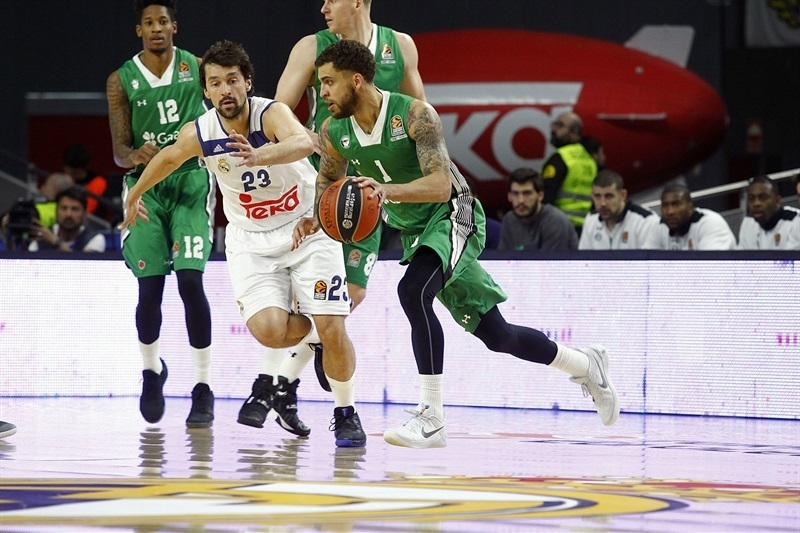 Zizic scored twice to give Darussafaka a cushion, and Wanamaker nailed a jump shot, but the 4-point margin was erased by a jumper from Carroll and free throws from Ayon. The teams went tied 78-78 into the final minute, in which Wilbekin spun in the lane to make a basket, giving the visitors the lead for good, 78-80, with 48 seconds to go. 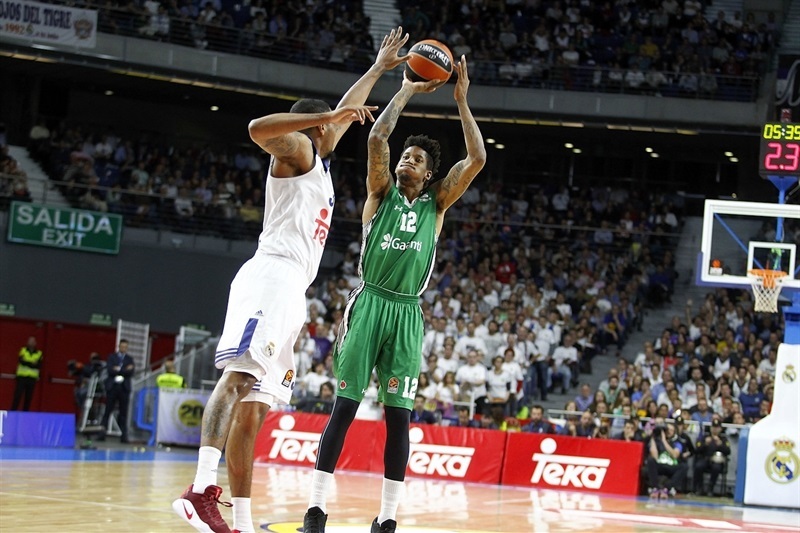 Madrid tried from downtown, but could not hit it, and Clyburn and Wanamaker sealed the outcome from the foul line. 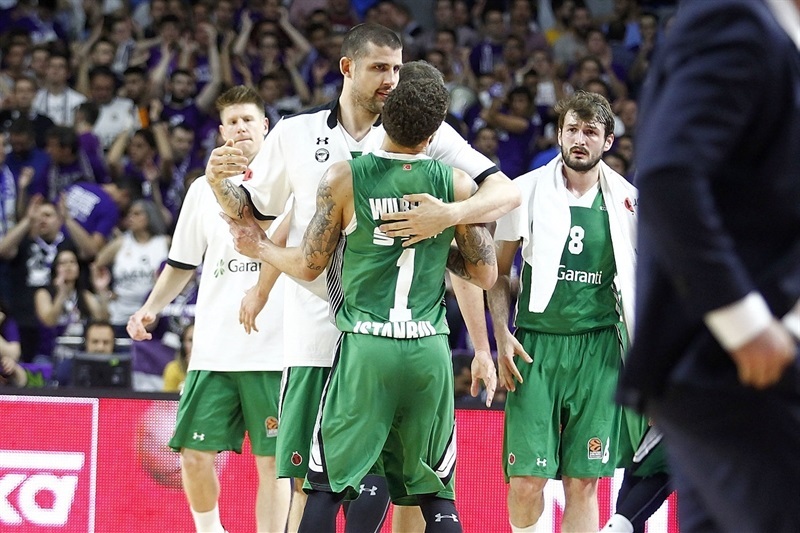 "First of all, congratulations to Darussafaka. This game was very similar to the one we had on Wednesday. We started off behind, and eventually we went ahead. After the break we were doing well, especially in the third quarter, but we were not able to perform properly at the end of the game. I thought we could have improved in some situations compared to the first game, but we did not. Our percentages were not very good. We shot 9 of 30 three-pointers, some of the shots were tough. We also missed 9 free throws, which makes things hard. But this is playoffs, we know what it means, we know it is hard to play against one of the best teams in Europe. We need to move on in order to win at least one game in Istanbul." 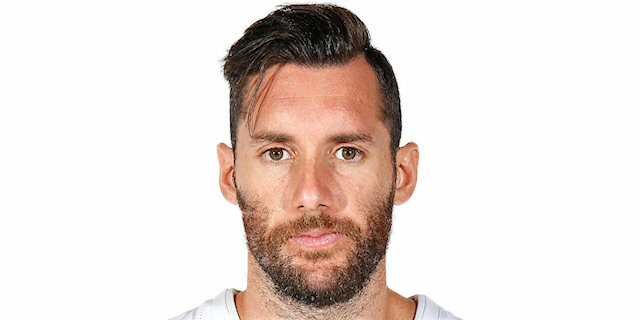 "A very good win for our team, and I think for our organization and what we are trying to do. It is a great step when you beat a team of the level, of the quality, the history and tradition of Real Madrid. But for our purposes, it is only one playoff win, and no more than that. I am certainly happy with the way our players played, for the effort that was made and for the determination on the part of our guys. Now we go back to Istanbul and hopefully perform on the highest level, because we need to in order to beat a team as great as this one. I thought we have made a great effort in the first game as well, but Madrid was a little bit better. When two really good teams play, they both have what to say in the game. In both games we had what to say. Madrid spoke better in Game 1, we spoke better in Game 2. We knew that Madrid was going to make a run; they were going to find their rhythm, and have their moments and momentum. They always do, and that’s their identity, and Pablo Laso’s teams have identity. So, that was to be expected, but the good thing was we did not lose our way and we did not stop playing the same kind of game. We did not suddenly think we have to change what we have done to that point. We stuck to our game plan. 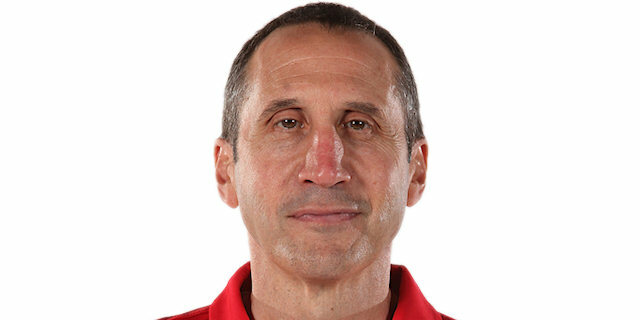 But players have to perform, and my players performed. Credit is theirs." "They made some shots tonight. Defensively we made a few mistakes, and they capitalized and took advantage of it. In Istanbul, we have to play the entire game, not just 36 or 38 minutes. It is going to be a fight the entire way. It is going to be even tougher there. They have a great crowd, it going to be loud. It’s the playoffs. Experience is a big deal, but at the same time, you got to fight. They fought a little harder than we did tonight." "They played a good game and we didn't play defense at the same level as we did in Game 1, and that stopped us from getting into the game. There are things to improve and others we did well, but they knew what to do against us, playing a lot of one-on-one options, making the most out of their outside shooters when we switched. We have to improve; we knew it was not going to be easy and it can still be a long series. 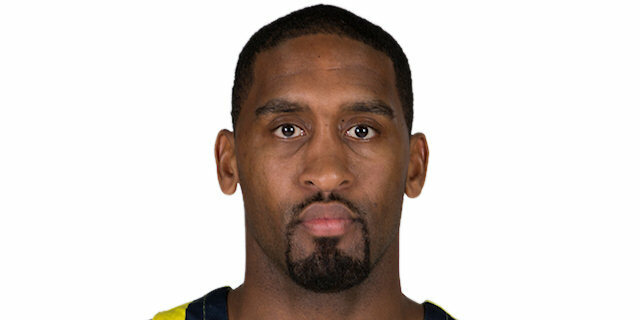 It is important to protect your home court and that makes us be a bit disappointed right now. 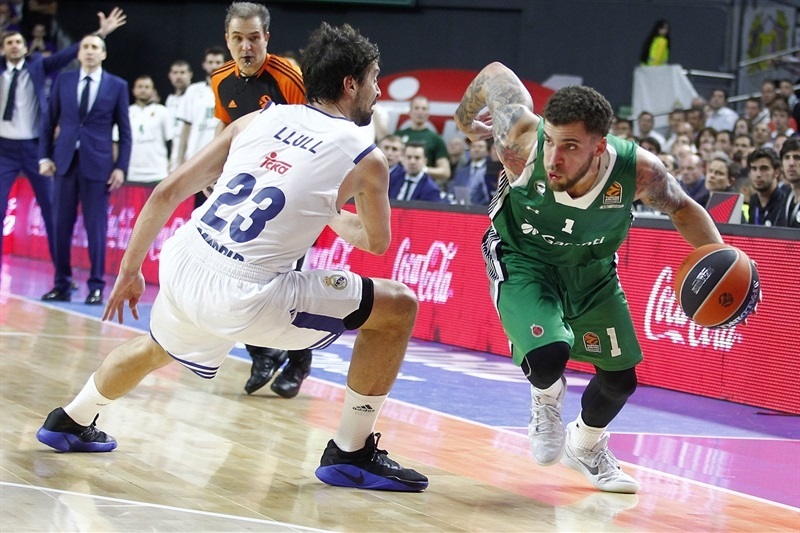 We knew that Darussafaka is a great team whose playing style does not fit us well. They ae a small team that switches a lot on defense and that stops us from finding the best shots, the best plays. It is not an excuse, we all have to take a step forward in the next game in Turkey." "They got an early lead, which forced us to come back. We managed to do it, but they never leave the game and showed it tonight. They played better at the end of the game while we missed many free throw attempts and made mistakes we should not have made in such important games. We lost and it is time to see what we did wrong, which was a lot, and try to win on Wednesday. We are Real Madrid and try to win every game we play. We have to think about Game 3 on Wednesday and know it will not be easy, but we will try to win. They are a good team and will be very motivated, but if we want to make it to the Final Four, we have to win there." "We played our game, you know? We know how great their team is, but we wanted to show how good of a team we are. We looked at them straight in the eyes, come out and play our game, that's all."